Anyone that knows me, or the good parts of my act, knows where I’m from. Lund, British Columbia. The end of the highway. The land that cable forgot. We had one channel growing up (CBC…of course) and two record players. We’d gather for Tommy Hunter and Hockey Night in Canada as a family, but you had to find your own fun if Dad was watching Question Period. Beach and bush were our playground. There was a surprisingly huge playground at our school that worked out to be roughly one giant piece of equipment per kid. But we were untethered and free range so went toward nature before swings and slides whenever we could. Our worst days were the ones where we had to be pulled inside. 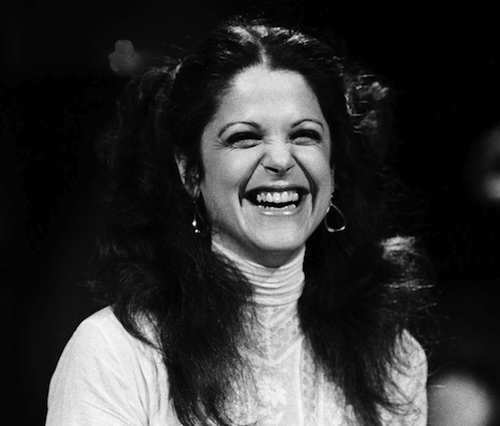 Somewhere in those days I found Gilda Radner Live in the records and played it until I knew it. Word for word. By my heart. Had I put this much effort into school or piano lessons my Mother would have died a little less stressed about me and my choices I think. One of the record players didn’t spin so you’d have to carefully turn the album around with your DJ finger at the right speed to hear it properly. Although slightly broken, it was portable and fit behind the bulky headboard under the head of my bed which was my studio. I could have been Swedish House Mafia before they ever were. When the house was empty, I’d move from studio to main showroom. Our living room had a fireplace hearth built for rehearsal and a bathroom full of things that could double as a microphone. Ban roll-on. Lemon Up shampoo. Skinny Dip cologne. This is where I’d work on being a disgracefully blatant hack and steal every word Gilda wrote. That was before I understood the seemingly unenforceable comedy rules of today. I wanted to be two things. Goofy enough to make people laugh and like my cool big sisters. I primarily wore what my Grandma Gunhild made me but older girls, like Gilda and my sisters, got to wear cool 70’s jeans and have wild unbraided hair. I put Gilda Radner into an ultimate big sister category because she embodied both of my big aspirational gets. I have grown into someone with my own body of comedy material and a closet full of cool jeans. Last night I got to perform at Gilda’s Club in Toronto. On that holy ground. I’ve defended the club in the past when some nudniks tried to remove the name but have never performed at one. Walking up to the door, I felt like I was there to make the first payment on a debt that I’ve owed for a very long time. Life is about lessons. You either understand that they are being presented to you always, or you don’t. I feel like I’ve learned a lot just from finding that one record. I learned who Barbwa Wawa was long before I ever knew who Barbara Walters was. I’ve learned that someone can live on through their contribution to the world long after they’re gone. I know that losing two of my biggest heroes to cancer, Gilda and my Mom, has put me in this place that I am now. I learned that yes you can. I’m okay, you’re okay. I’m my own best friend, my mother my self, I have no fear of flying, I am woman hear me roar. Seeing her in person was even more magical!! !